For many, a cup of joe is an essential – an essential that the Bonavita coffee maker 8 cup BV1901GW machine understands! Whether it’s your first cup of the day or a late night pick-me-up, you’ll love how quick and easy this appliance is to use. Not only are we talking about simple operation when it comes to this machine, but it also creates a brew that’s full of flavor. From the powerful heater to the optional pre-infusion mode that works in seamless harmony, this machine is ideal for all caffeine lovers! With simple features and high-quality parts, look forward to enjoying a perfect cup of coffee every time at just the touch of a button. 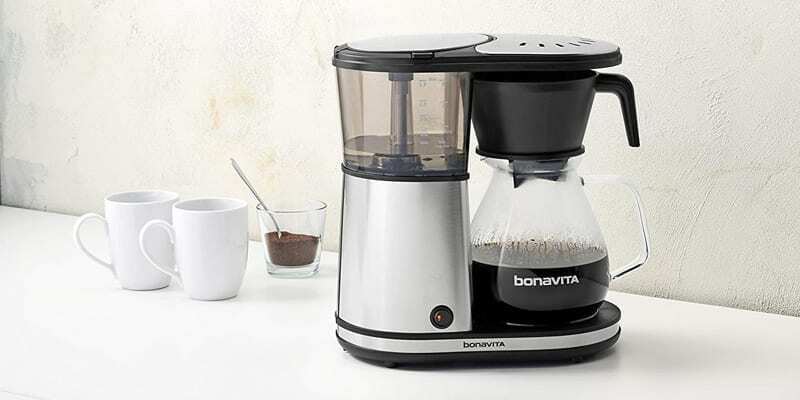 The Bonavita BV1901GW is a powerful machine that is ideal for all brewing fanatics. Equipped with a one-touch brew operation and an audible signal sound when your hot beverage is ready, your morning cuppa Joe has never been easier. Originally designed for the best-defined quality, you will be able to brew an artisan worthy brew from the comforts of your own home. 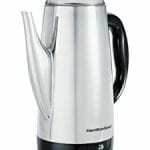 After all, the manufacturer does pride themselves on building appliances to bring you a delicious beverage every day, and this model is a true testament to that. Engineered to bring you the ideal coffee flavor and strength, enjoy the simplicity that comes along with its brewer features. The Bonavita Coffee Maker 8 Cup machine comes with an automatic functioning that is enhanced by the one-touch operation. 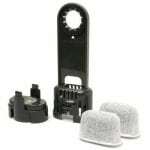 Included in the appliance are a flat bottom filter basket and an optional pre-infusion mode, assuring that your brew’s flavor will be perfectly extracted every time. It’s 8 cup coffee pot will provide your whole team or family with their caffeine fix! An added bonus to this home brewer is the fact that it’s designed with a warming plate that not only provides an optimal brewing temperature, but it shuts off after 40 minutes too. The best part? If anything were to go wrong, you can take comfort in its 2-year warranty. One of the key benefits to the Bonavita machine is that it is easy to use, but still provides a top-quality pot of coffee. To achieve the perfect brew, set the machine on a flat steady surface. Remove the carafe and basket, and fill the water tank to the required amount. You can select any type of specialty coffee, and place it into the filter. The amount will vary depending on your roast preferences. 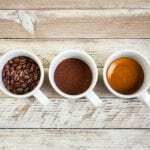 Insider Tip: Remember that your coffee needs to be stored correctly so that you continue getting the best taste and flavor from it – the Coffee Association of America has some advice on how this can be done correctly. 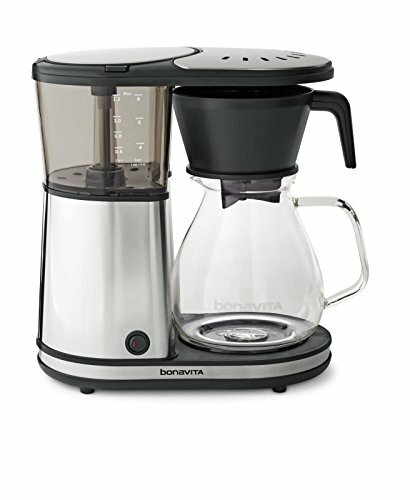 Place the basket on the carafe without its lid, and place both back into the Bonavita Coffee Maker 8 Cup brewer. Lastly, turn the machine on. You will know that it has completed its cycle by the sound alarm and light that will remain on until the hot plate shuts off. 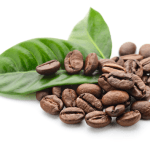 For brewing from freshly roasted coffee beans, you’ll want to use the pre-infusion mode. First, you should press and hold the on/off switch for 5 seconds. You will notice that the switch will begin to flash and an alarm indicating the pre-infusion mode will beep. After that, just follow the normal brewing instructions. After a few uses, your appliance will most likely need a good clean and freshening up. The good news is that the carafe, carafe lid, basket, and showerhead are top rack dishwasher safe. Once you’re done with making your drink, you can simply remove these items from the machine and place them in the dishwasher. The warming plate can easily be removed for wiping down as well. For the rest of the machine, you can use a soft, damp cloth and a mild dish cleaning liquid. 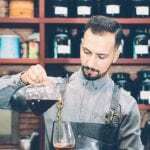 Avoid any scale induced, extended preparation times or possible damage to your coffee brewer by descaling your machine every 3 months or after 100 cycles. To do so, we’d recommend using descaling powder to ensure amazing drinks at all times. To descale, you’ll want to fill the tank according to the descaler instructions, and allow to brew. Following this step, brew for 2 more times with fresh cold water. The Bonavita Coffee Maker 8 Cup machine features a unique showerhead to ensure evenly saturated grounds. What does this mean for you? Well, you can get a cup with optimal and uniform flavor extractions every time! Bonavita’s wide showerhead design distributes water evenly across the coffee grounds. This allows for a fuller, more robust flavor. Think of it as if you were watering your garden. Would your garden get the maximum benefit if you sparsely watered certain areas? Of course not! You’d want to cover the whole area to get full results. A luke-warm cuppa joe is never ideal! No need to fear, Bonavita has catered to your heating needs by featuring a 1500-watt heater. In fact, the machine offers a dual heater system that brews faster and keeps your drink warm without overheating. To guarantee the perfect brewing temperature of 198°-205°F, 1500-watt is the perfect amount to keep your cuppa hot. The brewing temperature of the water used is very important in crafting artisanal brews – the closer that water is to 205°F, the better! Bonavita understands that your days can get busy and you may get distracted from your brewing pot. We love that this product has a built-in warming plate to keep your brew warmer for longer. What we love even more is that this warming plate feature is available for up to 40 minutes. So, even after that long conference call or after getting that last paragraph into your email, your drinks will always have a great taste and great warmth. When you’re on the hunt for a good appliance, you should keep your eye out for a basket like Bonavita’s! 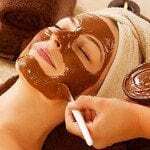 Trust us, you will love how it maximizes optimal flavor extractions. Flat bottom filters allow for a more level bed of grounds which means you’re getting a more even extraction. This feature works harmoniously with the machine’s showerhead function where you can enjoy the optional pre-infusion mode. During this mode, the showerhead will dampen the flat, fresh grounds to optimize the flavor and give you perfect coffee every time. Is there anything worse than reaching for the coffee pot only to realize that someone hasn’t made a fresh batch? With this product, that will no longer be a problem! The Bonavita 8 cup coffee maker with thermal carafe is completely clear so that you can watch as it brews and see how much is left. The tempered glass has a narrowed neck design that keeps the heat in. Enjoy the Bonavita 8-cup coffee glass carafe instead of stainless steel carafe for a number of reasons. These include the fact that it’s easy to clean by being dishwasher-friendly and the glass won’t impart any unwanted flavors into your drinks that you may find with stainless steel. 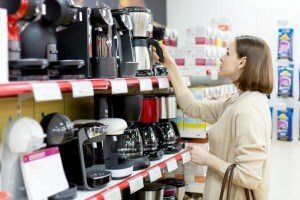 To give you a fair understanding of what’s on the market, it’s only best to consider the MoccaMaster and the Zojirushi Zutto Coffeemaker. Compared to the Bonavita BV1901GW appliance, the MoccaMaster is larger in size and caters to a 10 cup capability. It does, however, cost almost double the price. Similar in price and ease of use, the Zojirushi machine is a closer competitor to consider. The sleek and compact design offers a simple machine to consumers. The Bonavita machine is a better option for those seeking a higher liquid capacity and better-powered machine – the Zojirushi is a 5 cup coffee appliance that is fueled by only 850-watts. 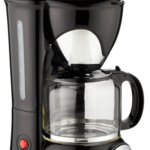 Compared to its competitors, the Bonavita Coffee Maker 8 Cup is a great option. The fact that it’s affordable but still has quality features is enough to have any customer singing its praises. 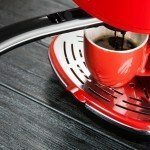 Bonavita has stayed true to its promise of providing caffeine lovers with a machine that helps you brew mouth-watering coffee every day from the comfort of your home or office. From the pre-infusion mode to its capacity as an 8 cup coffee maker, there isn’t a feature you won’t enjoy. The only point to note is that we would suggest following the descaling recommendations to ensure the longevity of this product. 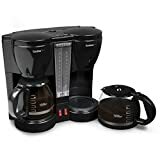 Black & Decker 5 & 12 Cup Coffee Makers : Super Fast Hot Coffee! 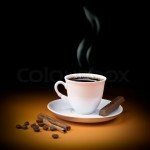 Learn Why Coffee is Good For You!